TFW ENGINEERING SDN. BHD. 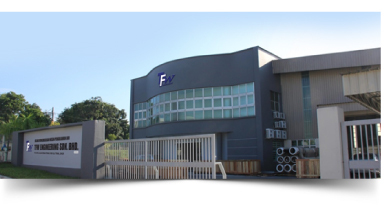 was founded in Malaysia on 2010 as a Mechanical Piping Engineering (Design & Fabrication) and Project Management Company engaged in providing service to industrial projects related to Water Treatment and Oil & Gas Industry. TFW presents it’s customers a one-stop solution in skid system design and fabrication (RO, MF, UF, Demin & Chemical Skids), pipe rack/ pipe spool (CS, SS, PVC, HDPE, PP, PVDF) fabrication and site installation of water treatment plant for power station and oil & gas Industry.